R U I N S: (noun) the physical remains of something that has decayed or been destroyed. Authors Emerian Rich and H. E. Roulo come together to bring you Rich & Roulo, a fiction series harkening back to vaudevillian days where madness bordered on greatness, misery became wisdom, and beauty was found in even the most broken doll. 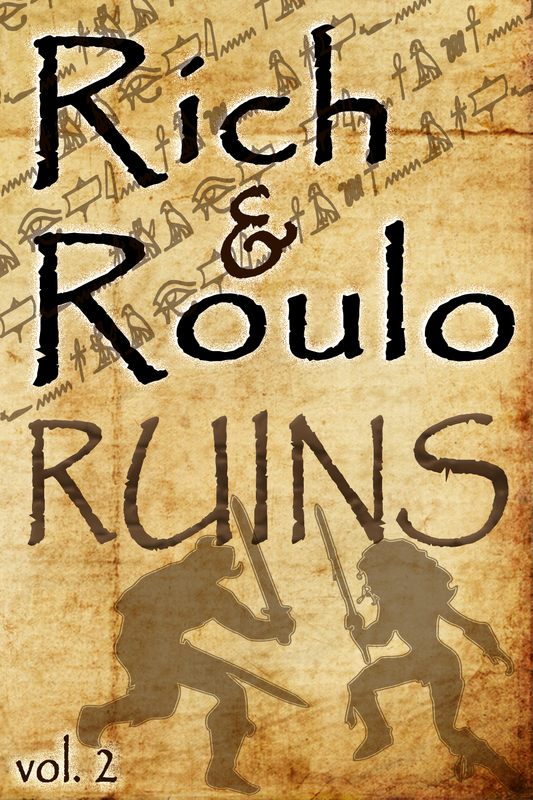 In Rich and Roulo’s second volume, the woeful tale of a kidnapped princess and the story of an unwilling hero, join the poem of an ancient and powerful goddess to bring you RUINS. Set in exotic locations, these fables explore earthly concerns of love and life against a backdrop of death. The volume makes you wonder, once death has you, is there anything left? Or were we ruins to begin with? The true mostly true story of Rich & Roulo. Who the heck are Rich and Roulo? 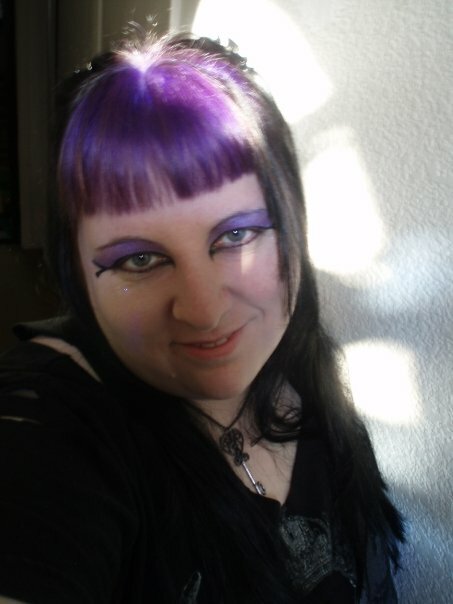 Heather Roulo is a Pacific Northwest author who writes science-fiction, fantasy, and horror. Her short stories have appeared in a dozen magazines, anthologies, and podcasts, including Nature and Lightspeed. Later this year, Permuted Press will be releasing her Plague Masters trilogy. Heather’s favorite authors include Orson Scott Card, Larry Niven, C.S. Friedman, Robin Hobb, Edgar Rice Burroughs, and… well, too many to cover. She received her B.A. in English Literature. Check out Goodreads to see more. In her non-writing time, Heather hikes, reads, watches far too many movies, and plays card and board games. Yes, she has beaten Pandemic. She recently learned to love gardening, and obsesses over new technology. For more information, you can visit her blog at www.heroulo.com or make a connection over twitter @hroulo. 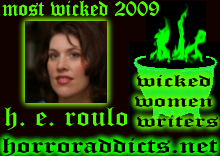 Emerian Rich is a writer, artist, and Horror Hostess of the popular international podcast, HorrorAddicts.net. 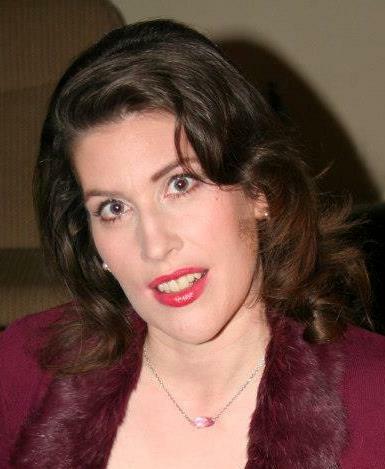 She is the author of the Night’s Knights Vampire Series and also writes the Sweet Dreams Musical Romance Series under the name Emmy Z. Madrigal. 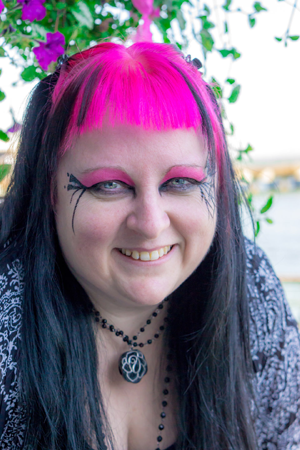 She’s written short stories from horror to SciFi and loves a good writing challenge. Emerian’s favorite authors are, Anne Rice, Andrew Neiderman, Jane Austen, and manga artist Kaori Yuki. If Emerian was a car, she’d be a black Viper. If she was an animal, a black jaguar. If she was a bird, a raven. Noticing a trend here? In her non-writing time, Emerian enjoys crafting, crocheting, gaming, origami, cemeteries, and exploring urban areas for city art/sculptures and unique architecture. She’s a Gemini, so the balance of dark and light is forever battling inside her, thus her enjoyment of both horror and romance. For more information about Emz, visit emzbox.com. Despite Emerian Rich’s lack of recollection, Heather knows they met through mutual Podiobooks.com friend. 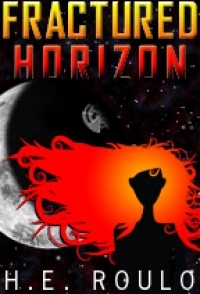 After the completion of podcasting her novel, Fractured Horizon, Heather joined forces with Rhonda Carpenter for bi-monthly podcast show Podioracket.com. When Heather’s podcast show ran a Hero of Podiobooks contest, Emerian entered into the spirit of fun, and provided audio from the heroine of her book, Jespa, from Night’s Knights. After subsequently joining the Wicked Women Writers, the two finally “met” during the live recording of the Wicked Women Writers contest in Second Life. 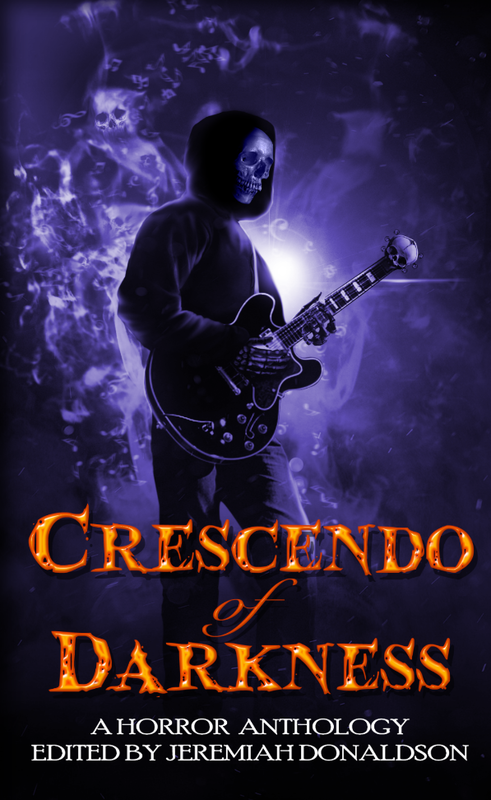 Friendship was not easy, but they had what it took to connect even in this fantasy online world: Heather was not distracted by Emerian’s blood-rain filled casket, and Emerian overlooked Heather’s remedial ability to dress herself and a penchant for accidentally sitting on walls and tables rather than chairs in the newly purchased Podioracket shop. After months of meeting online, recording podcast interviews, making silly voices, and providing podcasting instruction to others, they finally met in person at BayCon in Santa Clara, California. They now Skype message each other daily and meet in-real-life annually. 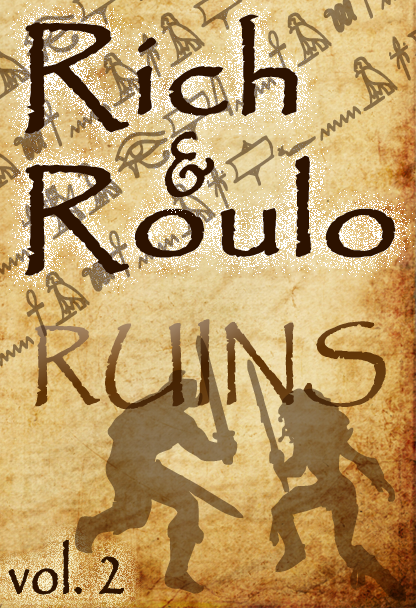 Collaboration is the next test of their relationship with the second edition of Roulo &Rich, Volume 2: RUINS. Should Emerian turn into a black raven, car, or jaguar, Heather has sworn to hunt or drive her, as she deems appropriate, thus making the world a safer place. She hopes their friendship survives this blog post. Emerian and Heather bring a fiction series harking back to vaudevillian days where madness bordered on greatness, misery became wisdom, and beauty was found in even the most broken doll. Watch for news on the new edition for Rich & Roulo coming soon! D E S I R E: (verb) to wish or long for; crave; want. Volume 1: DESIRE pushes the boundaries between burlesque and grotesque, featuring a pair of twisted obsession stories and one very naughty poem. A faded tome wrapped with a red velvet ribbon falls into your possession. As you open it, the spine creaks. Spiders scramble out and skitter across your leg. Startled, you rise and the book thuds to the floor in a puff of perfume-scented dust. Picking it up, you find the velvet ribbon crumbling. It breaks. Where the ribbon had formed a cross holding the novel shut, the cover is still dark and gold leafing inscribed in whirls outlines sensual bare flesh but the rest has faded away, leaving only a hint of naked lovers once sprawled across the luxurious leather.